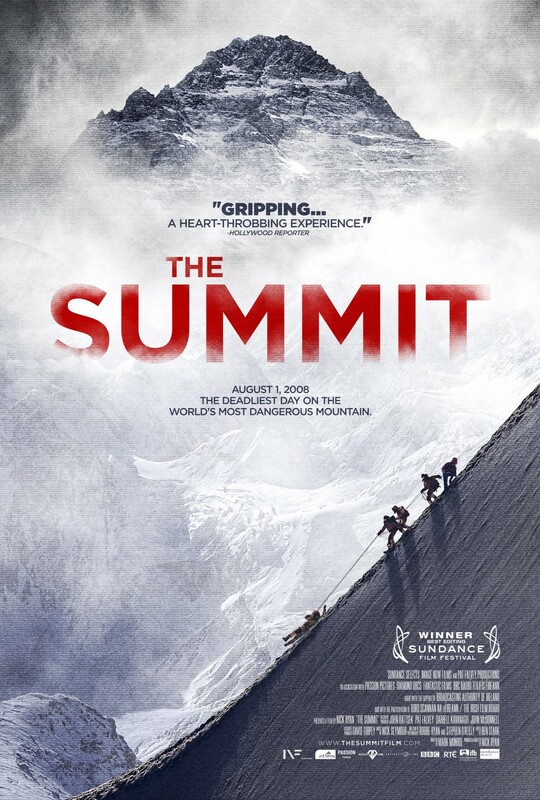 The Summit – August 1, 2008. The deadliest day on the world’s most dangerous mountain. Riveting account of the climb to the summit of K2 in August 2008. We see the plan as the teams all get to the four different camps before making their climb for the summit. We see how important preparation is to the success of a climb. We see the determination of people to reach the ultimate goal and maybe even witness “Summit Fever”. The problem is people died and questions still remain unanswered. The problems began from the very beginning of the climb to the summit. They left late, they ran out of rope, and they lost two hours of time. Then one climber tried to pass another and took his hook off. When he tried to pass he slipped and slid down around two hundred meters. The rest of the climbers saw Dren Madic get up and they thought he was fine, but he was far from. By the time some other climbers got to him to rescue him he was already dead or close to it. I was mortified as I watched the re-enactment of Jehan Baig’s death, he was one of four men who went to help Dren Madic. It seemed he became disoriented and slid right off the side of the mountain (without even trying to stop himself). The longer you spend at high altitudes the more likely your brain will begin malfunction. The only confusing part is trying to distinguish between re-enactments and actual footage. It is amazing to see Fredrick Strang in a re-enactment state “This is not a guided tour”. His thinking was correct because if you try to rescue any stranded climbers you are only going to put yourself at risk. Alberto Zerain climbed solo and attacked the summit from the third camp. It is awesome watching these courageous climbers attempt and actually reach the summit of K2. The scary fact is one of every four climbers that make the attempt will die and most deaths occur on the descent. We see the actual photos that were taken when each of the climbers reached the summit and the time they reached it. Marco Confortola was the last climber to get there and he asked one of the climbers to wait and take his picture. The time was 7:30pm and you could see that the sun was already going down. Pemba Gyalje Sherpa was a true hero during the next few days. Two other sherpas were sent up to save the stranded three Korean climbers and on the way up they found another climber. They were told to leave him and get to the Korean team. So Pemba, went up by himself and with oxygen got Marco conscience again so the two could get back to Camp 4, no one else would go with him because it was too dangerous. Meanwhile, Gerard McDonnell stayed with the Korean team and tried to help them. Directors’ Previous Movies: The German and The Lonely Sky (Both Short Movies). If you liked this try: The Central Park Five, Searching for Sugar Man.